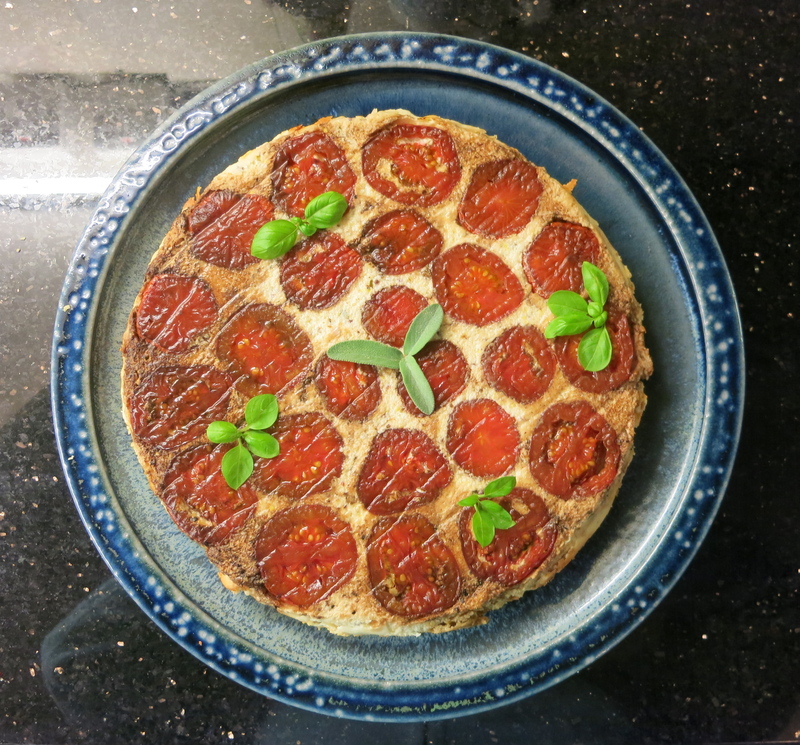 A friend gave me this recipe by Vava Berry, (a cook I hadn’t heard of but will certainly investigate further) to try and it turned out so well I just have to share it with you. 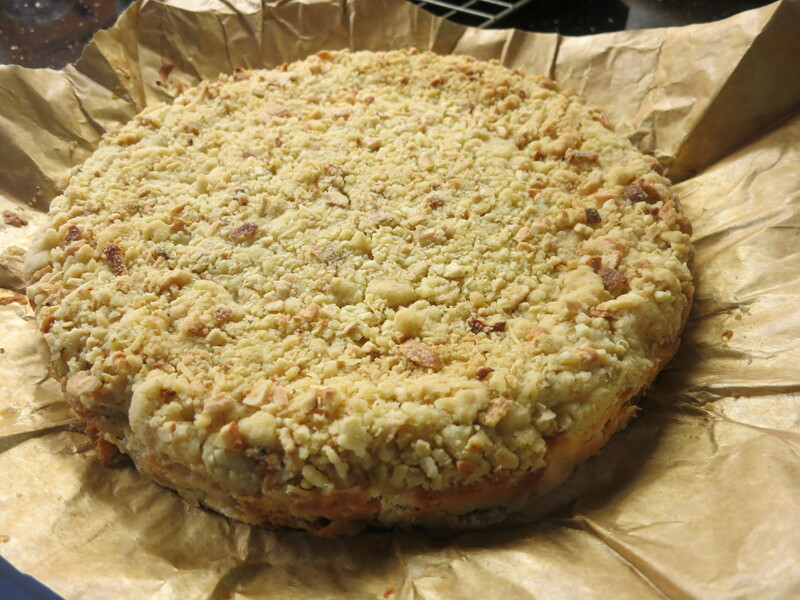 It’s a bit like a Quiche but it’s cooked upside-down with a nutty crumble base and no pastry and it’s turned over at the last minute. It’s very well behaved! My adaptations/comments are in bold. 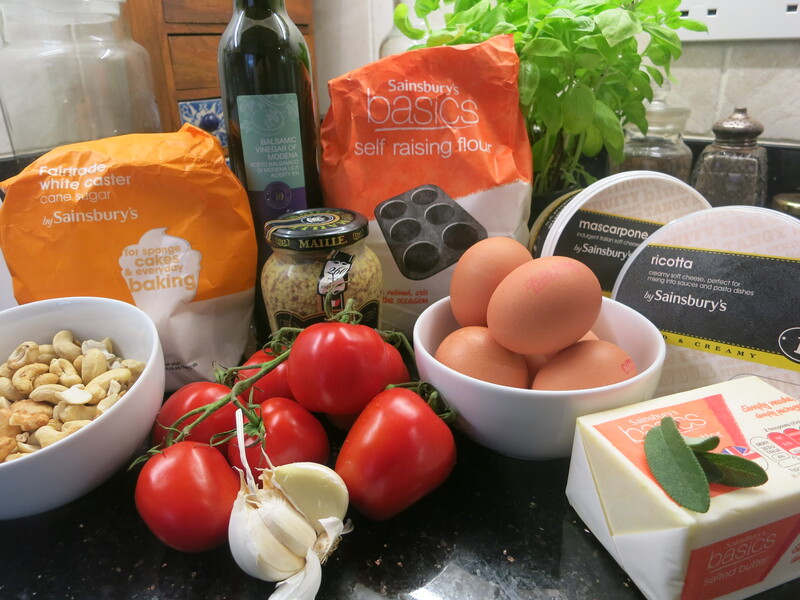 Pre-heat the oven to 140C/275F/gas mark1. 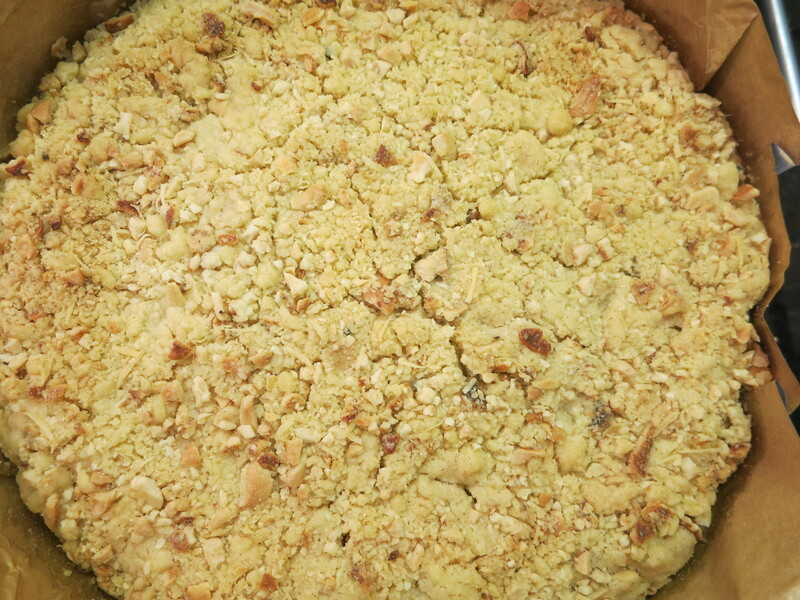 Line a 20cms tin with parchment (loose bottomed, though this isn’t specified, it makes the turning out much easier) Place on a baking sheet in case any juices leak. 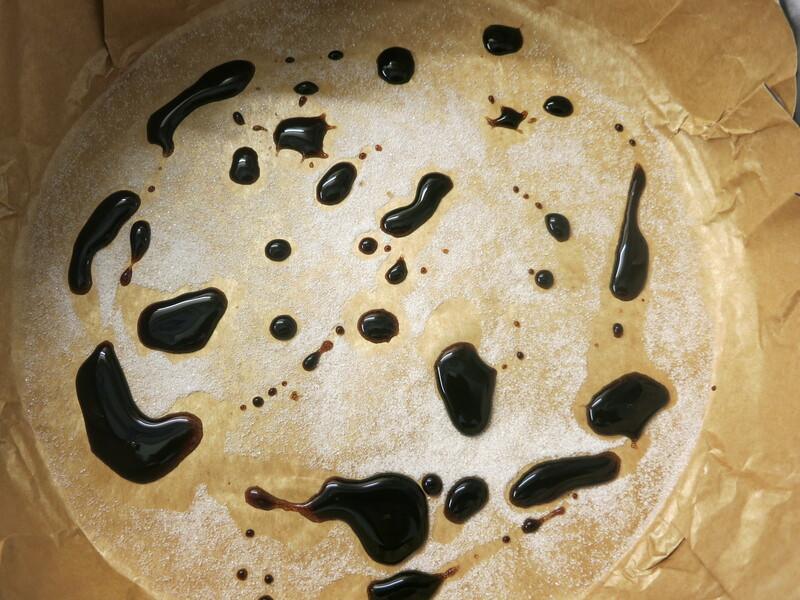 Sprinkle the sugar and the balsamic vinegar over the bottom of the lined tin. 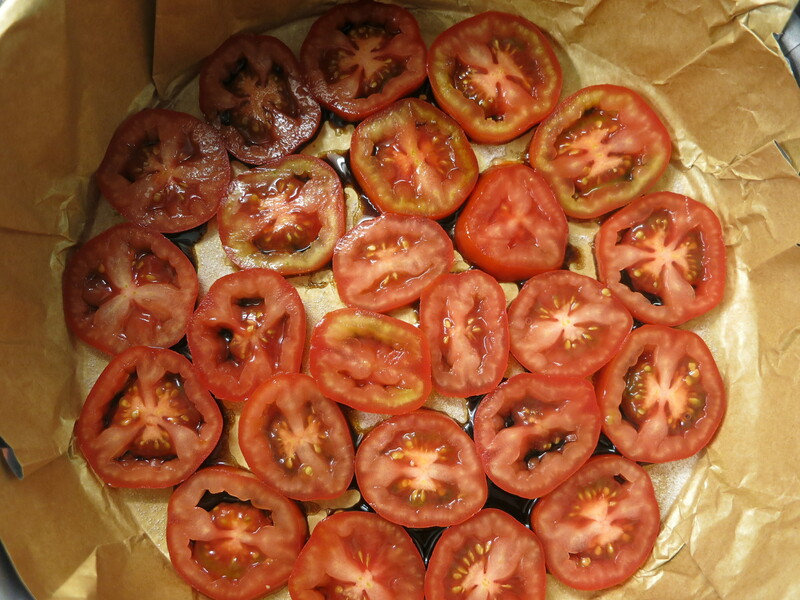 Slice the tomatoes into 1/2 cm slices and lay them in circles on the base of the tin. 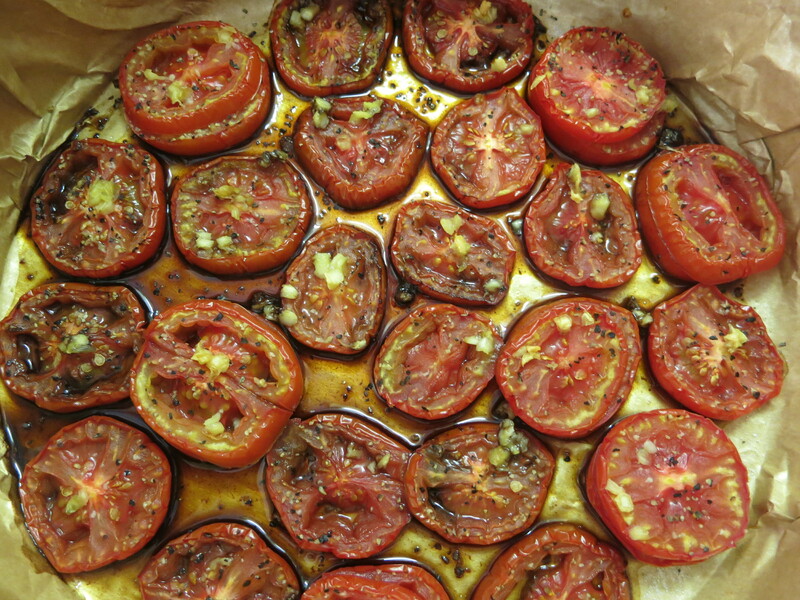 Sprinkle the garlic over the tomatoes and bake for one hour. 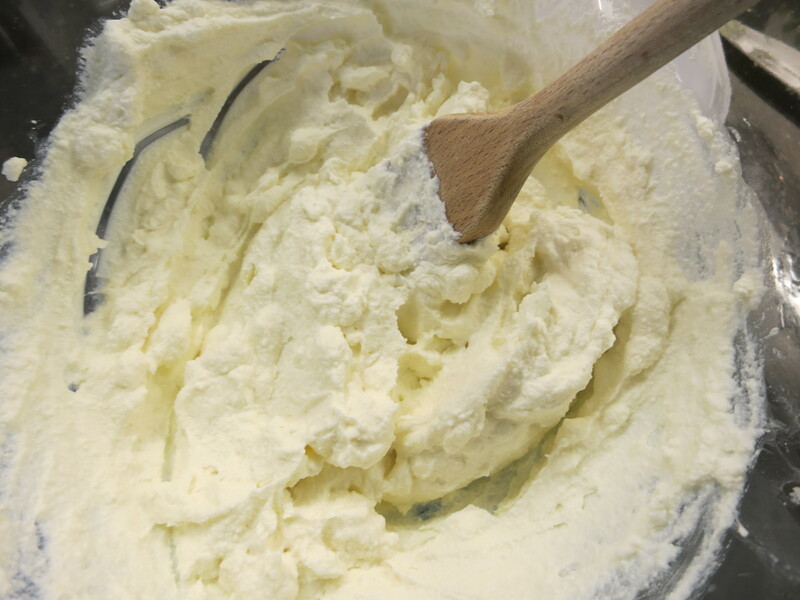 Rub the butter into the flour until it resembles breadcrumbs, as you would for a crumble. 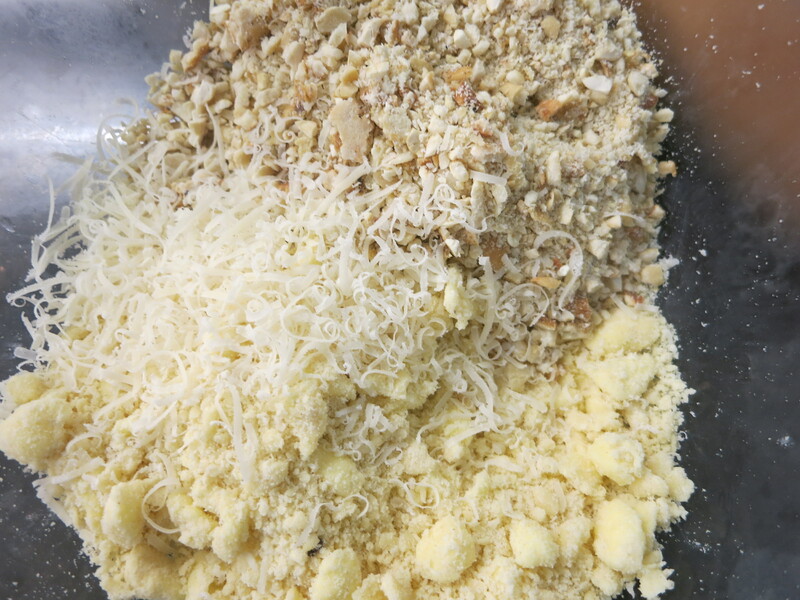 Mix in the crushed nuts, the grated parmesan and some freshly ground black pepper. 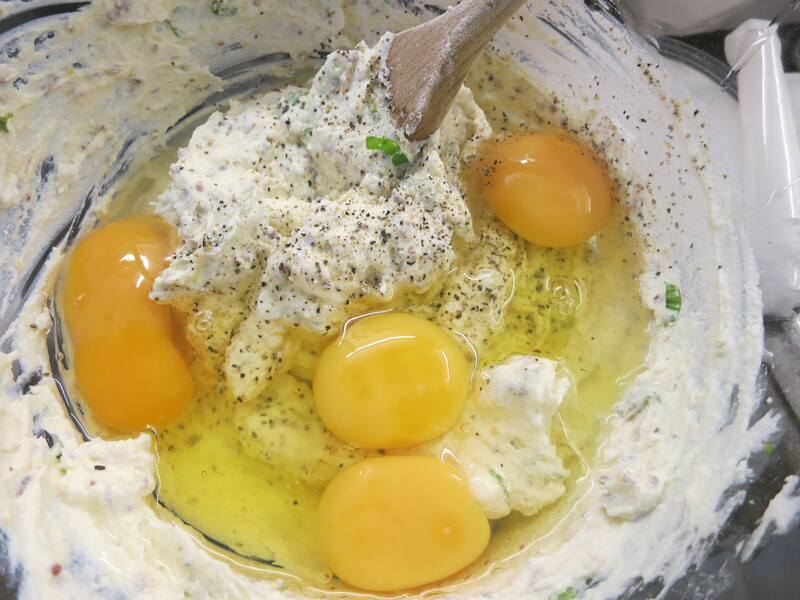 (I used my favourite, garlic pepper) Put this mixture in the fridge for 30 mins. 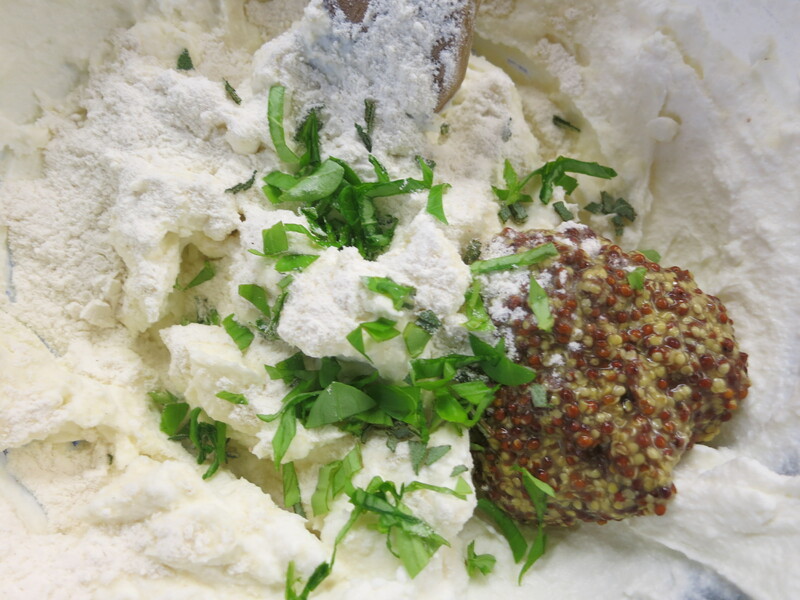 Mix the ricotta and the marscapone with the eggs, the rest of the flour, the mustard and sage or basil. Season well. 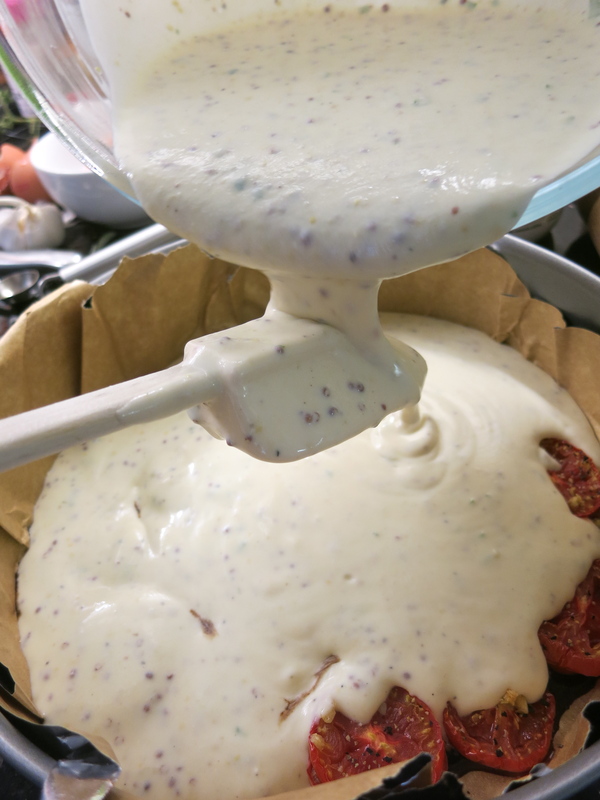 Spoon the mixture over the tomatoes being careful not to disturb the tomatoes. I found pouring it over the back of a spatula worked well. 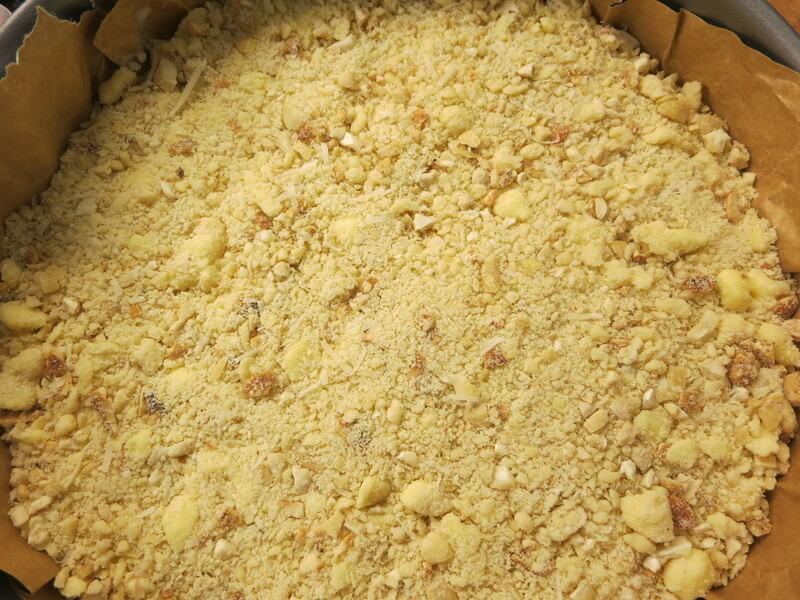 Spread the nutty crumble mixture over the top and press it down slightly. 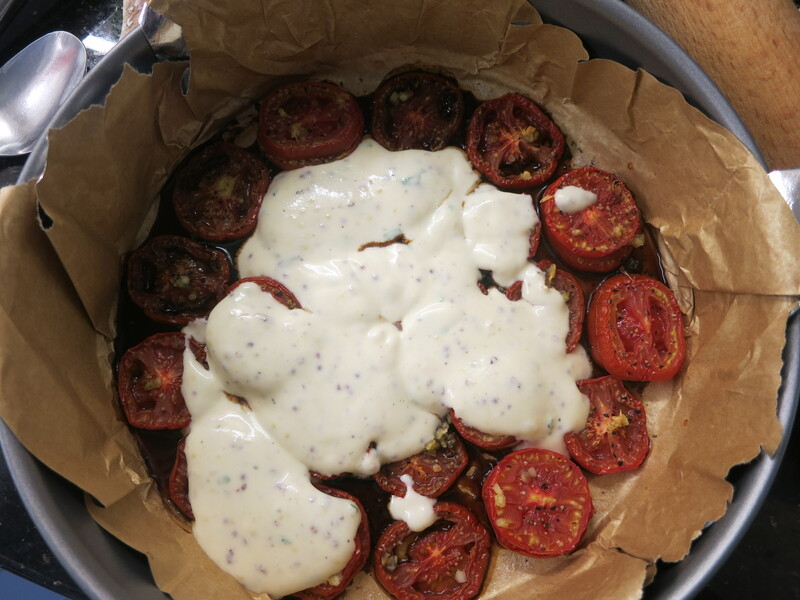 Place an inverted serving plate on the top of the tin and carefully flip it over. 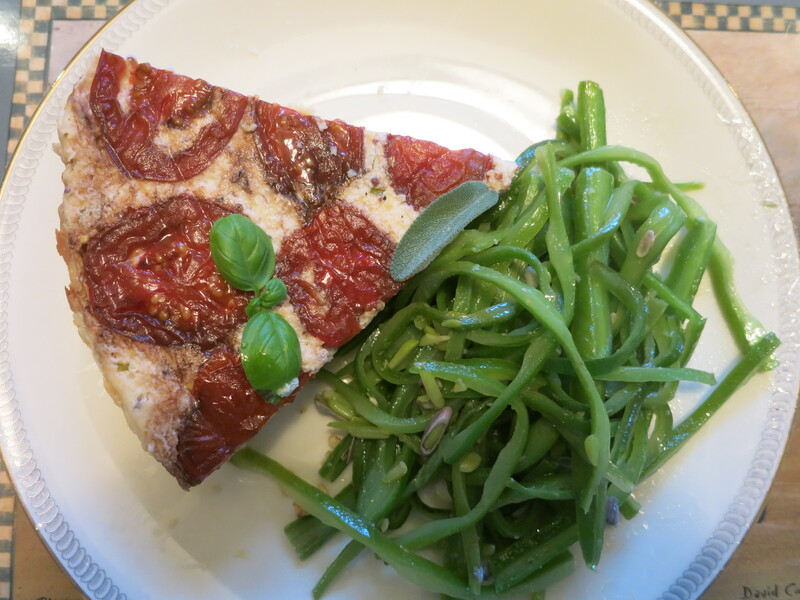 Slice and serve lukewarm or cold with a green salad or vegetables. 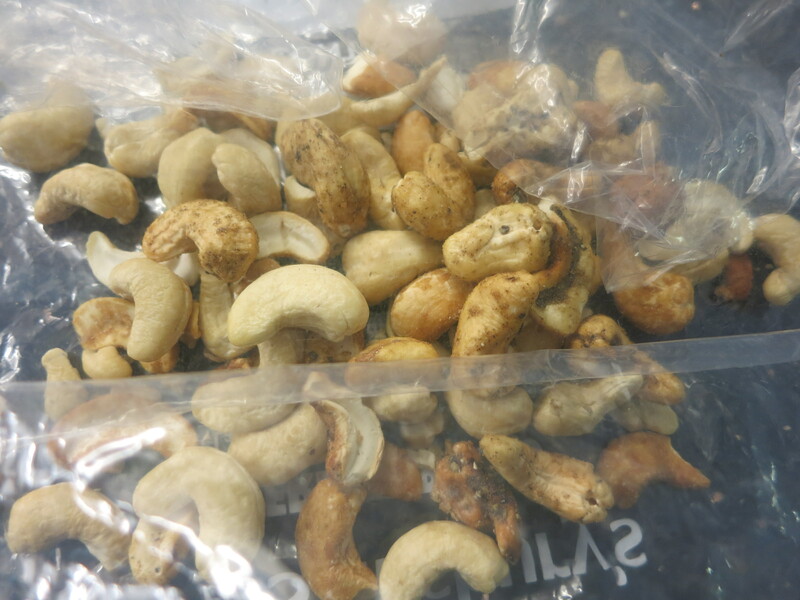 It is truly scrumptious!